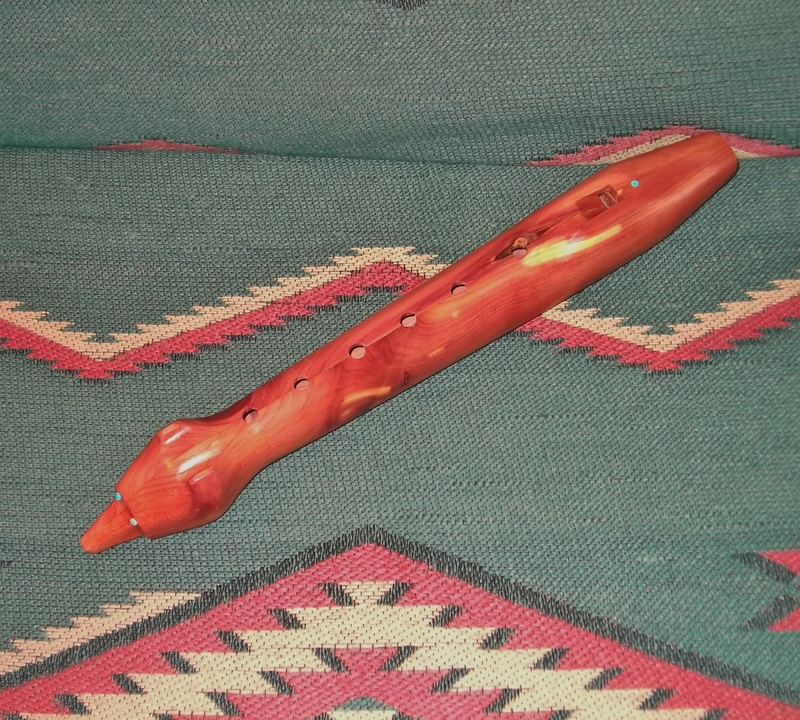 This 6-hole Native American Wolf Medicine Man Flute in the Key of C Major, was carved from aromatic Cedar wood by Darrell Bedoni, who is Navajo / Dine`. 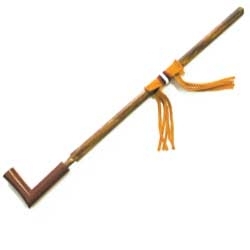 It is called a Medicine Man flute because at 13″ it is shorter than normal flutes. It is ideal for travel.